The Story: A musician helps a young singer and actress find fame, even as age and alcoholism send his own career into a downward spiral. I have never watched any of the other three versions of this movie so I didn't really know much about it going in. What I do know is that Bradley Cooper is a very talented man as he has proven to be a force in the acting world and now takes on some seriously heavyweight material for his directorial debut. Watching the film, you would think he had been behind the lens for years as the production is tight, seamless, and very polished. The one negative I will point out, and this is strictly for me, is his dependence and tendency to go for close ups all the time. Every scene is right on someone' face and, while this is intended to show off the emotional nuances of the performances, it bugs the heck out of me. I want to see the whole picture of what is happening, not just a person's face and then another person's face and then back to the other person's face. It's like film makers who use this technique are totally forgetting that their movie is going to be seen on giant screens where people can already see every detail anyway. Okay, enough nit picking film making techniques. 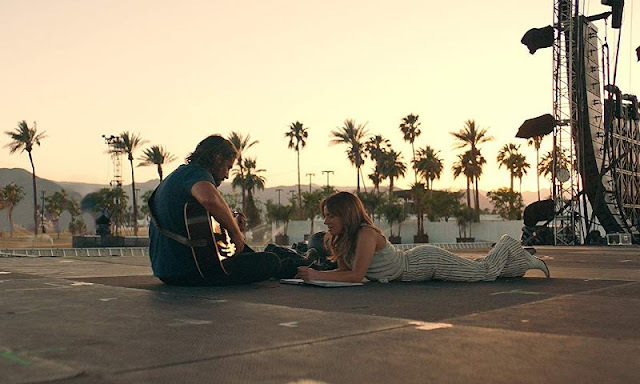 The real strength of the movie is in the performances with Bradley Cooper taking his skills to a level I haven't seen since Silver Linings Playbook. The script gives him the opportunity to show off a wide range of emotions and he absolutely nails some super powerful moments. His character, Jackson Maine, has suffered the trials and tribulations of being run through the country pop star machine and that excessive lifestyle has definitely taken it's toll. Cooper's ability to deal with addiction and mental health are both heart breaking and inspiring because of the authenticity he brings to every single moment. 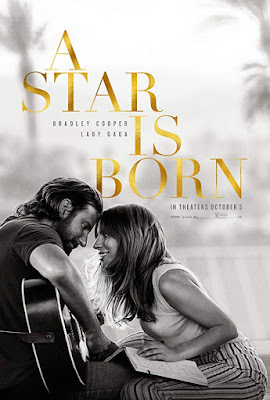 Most of the talk about this movie has revolved around the acting performance of Stefani Joanne Angelina Germanotta, more commonly know as Lady Gaga, which was indeed an impressive effort. Her experience as a stage performer and a few supporting roles has definitely given her a head start on what it takes to be the center of attention in a major Hollywood feature. Her biggest moments, of course, are when she is singing, whether on stage in front of a crowd or sitting next to Cooper alone in a parking lot during the wee hours of the morning. 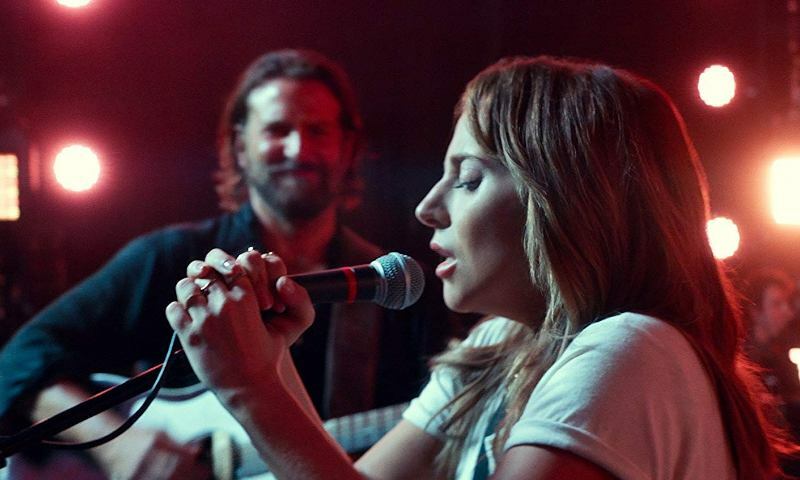 This being a movie about pop stars, the music had to be top notch and, while it is very much a collaborative effort between a lot of very talented people, Lady Gaga herself is the driving force behind the writing and, of course, the singing of almost every song. I have always felt that song writing is her biggest strength and the work she did for this movie is some of the best she's ever done. The soundtrack should easily run away with lots of awards when those types of things are handed out. A Star is Born is a good movie that is elevated by the emotional power of the beautifully written song selections and the outstanding performances that come with them. Bradley Cooper continues to expand his already impressive resume while Lady Gaga reaches redemption by proving wrong the people in her past who said she would never make it as an actress. Get ready for the inevitable awards push, this movie checks all the right boxes that the decision makers are looking for.